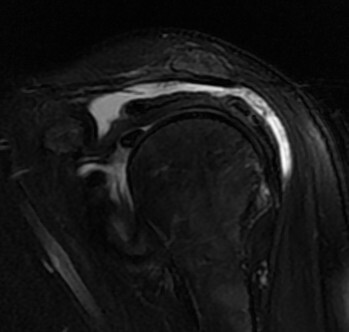 Coronal and sagittal images demonstrate fluid and debris in the subacromial and subdeltoid bursa. 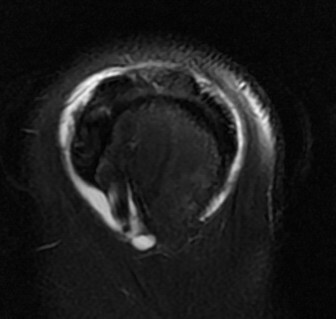 The rotator cuff is heterogenous, which is consistent with tendinosis. 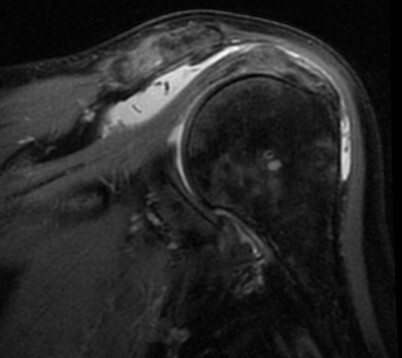 Fluid in the subcromial bursa maybe related to bursitis, rotator cuff tears or to injection of medications.